The group is circulating a petition and planning a calling campaign on Feb. 14 to try and get a boost in state funding for Cherry Hill Public Schools. Last summer, the Fair Funding for Cherry Hill Public Schools community group won a small victory in its multi-year battle of trying to increase state funding for the district. When legislators passed the state’s budget last July, Cherry Hill received an additional $1.1 million in state aid, bumping up the district’s aid from $13.2 million to $14.3 million. Now, Fair Funding for Cherry Hill Public Schools is ramping up its efforts once again to try to get additional state funding for the school district for the 2018–19 budget and beyond. For the past three years, the fair funding group has been lobbying to get an increase in state funding for Cherry Hill schools. Ten years ago, the Legislature passed the School Funding Reform Act to allocate state funding to districts across the state. Since 2009, adjustments in the formula and a lack of overall funding have led the majority of districts in New Jersey to receive less funding than what was dictated in the reform act. Fair Funding for Cherry Hill Public Schools’ statistics show Cherry Hill received $1,279 in state aid per student last year. The average New Jersey district received $5,956 per student. The fair funding group has seen lots of growth over the past year. Cherry Hill Superintendent Joe Meloche said the last fair funding committee meeting had numerous new faces who were attending for the first time. With Gov. Murphy expected to release details on the state budget and school aid in the next month, the Cherry Hill group is conducting two campaigns to get an increase in funding. At the beginning of February, the group started a petition on Change.org to get a large number of signatures from residents stating their support toward the Fair Funding cause and put some pressure on legislators to advocate on behalf of the district. The group is also planning a Valentine’s Day calling campaign on Feb. 14 where volunteers will reach out to legislators advocating for the district. “Our hope is the calling campaign, that the change.org petition, that our local community partnership with the district and the board will have the impact in Trenton that we want,” Benedetto said. The fair funding group had some success last summer, when the school district received an additional $1.1 million in state aid when amendments were made to the state budget. The district received the increase when legislators opted to distribute additional money to underfunded districts. “We attribute that to the efforts of fair funding and the district last year with our legislators,” Benedetto said. The fair funding group has also taken positions on two key items. The group has decided to support at least one portion of the district’s planned 2018 bond referendum. Benedetto said the group is supporting the approval of bond referendum projects totaling up to $51 million. District officials have stated up to $51 million in bond projects can be approved without affecting the tax levy because of expiring debt. During the board of education’s strategic planning committee, school officials have discussed making the bond referendum’s first question consist only of projects totaling up to $51 million. Benedetto said the expiring debt and the large list of necessary projects are the main reasons the group is choosing to support the referendum. “If you vote down the $51 million, the schools will start falling into more disrepair,” Benedetto added. Meloche said he was happy to hear the fair funding committee came out publicly to support the planned first question of the referendum. The group also decided to not join Kingsway Regional High School District and other districts in a proposed school funding equity lawsuit against the state. In late December, Kingsway’s Board of Education approved a resolution to file the lawsuit that claims the state’s inequality in distributing state aid to school districts is unconstitutional. 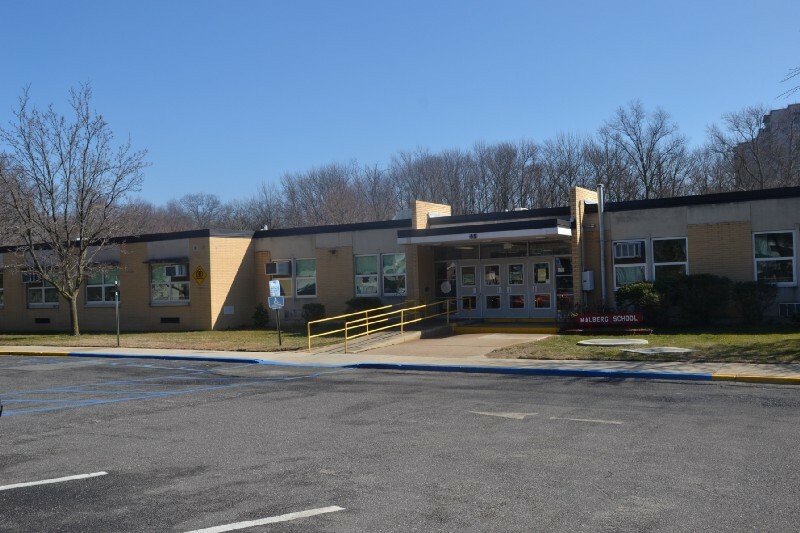 Newton Township School District in Sussex County has joined Kingsway in the lawsuit, and other districts may join in the coming months. “The committee doesn’t have resources right now, money or time, to participate,” Benedetto said. Benedetto added similar suits have been dismissed from court in recent years, and the fair funding group felt a new lawsuit wouldn’t be any more successful. Instead, the group plans to continue meeting with legislators and lobby on behalf of Cherry Hill. The group’s most recent meeting was in December with Assemblyman Lou Greenwald. Benedetto said Greenwald discussed some of the governor’s plans to close the budget deficit. One thing the group is unsure of is how much state aid Cherry Hill will be getting this year. With Murphy scheduled to introduce a budget for the first time this year, there’s a lot of uncertainty with how much money will be committed to schools. Benedetto is confident the fair funding group is heading in a positive direction. As support has increased, he’s noticed more legislators are realizing how serious Cherry Hill is about the issue. Meloche is encouraging more residents to get involved with the fair funding effort, saying it is an issue affecting all Cherry Hill residents. To view the Fair Funding for Cherry Hill Public Schools’ petition, visit www.change.org/p/to-get-cherry-hill-s-fair-share-of-nj-state-funding-after-years-of-gross-under-funding.